We’ve got a new tutorial for you all. One that will cut your development time in half, if not more. 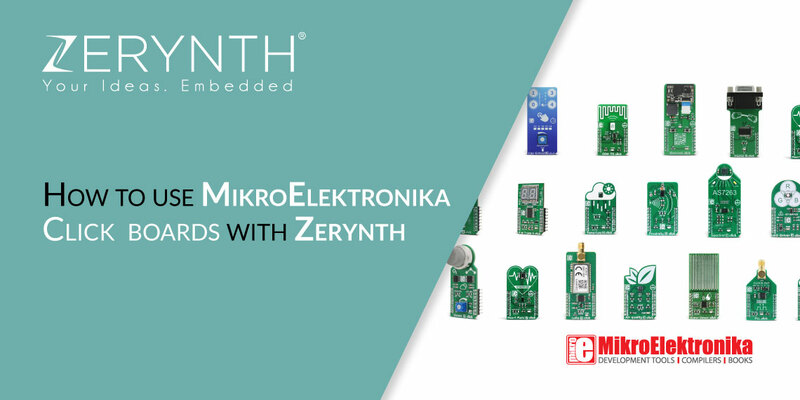 Since we have a long-standing partnership with MikroElektronika, we thought that it would be useful to share the knowledge we have about using their Click boards (standardized add-on boards), and various development boards in Zerynth Studio. Let’s start with Flip&Click (SAM3X) – a small and versatile development board that can be programmed in Python with Zerynth Studio. Flip&Click has four mikroBUS™ sockets, for Click board connectivity. That means you can add up to four different functionalities to your project: sensors, transceivers, encoders, displays, connection ports, and more. It’s the same mikroBUS™ socket you can find on the Zerynth-powered board 4zerobox, a plug-and-play data gathering, processing, and reporting solution for small and large enterprises who need to achieve full visibility and optimization of Industrial Processes. We also support MikroElektronika’s Quail Board, an STM32-powered development tool with four mikroBUS™ sockets and 24 screw terminal, to connect additional components. Below you can see how to use the 10DOF Click, cloning the ready-made example, and the Weather Click, creating a new project from scratch. In the previous video and in this Hackster project you can see how to get acceleration data from the BOSCH BNO055 mounted on the 10DOF Click, using Zerynth. The BNO055 is an Application Specific Sensor Nodes (ASSN) implementing an intelligent 9-axis Absolute Orientation Sensor. It eases the integration process for customers, freeing them from the complexities of multivendor solutions so they can spend more time on product innovation, including novel applications such as wearable hardware. On the Zerynth documentation, you can find the definition of the BNO055 Module and the example’s code. In the previous video and in this Hackster project you can see how to get weather data from the BOSCH BME280 mounted on the Weather Click, using Zerynth. The BME280 is an integrated environmental sensor developed specifically for mobile applications where size and low power consumption are key design constraints. On the Zerynth documentation, you can find the definition of the BME280 Module.